This hood scoop is not attached yet. What do you think? Keep the car authentic and stock, or add the scoop? Allow me to point out that almost all the T-Birds prior to this year came stock with non-functional hood scoops. Just saying. 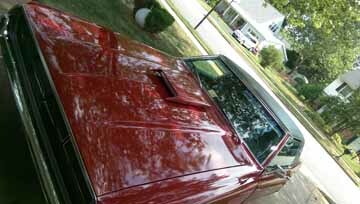 Want more pics of my 1969 T-Bird project car (and probable grounds for divorce), let me know!